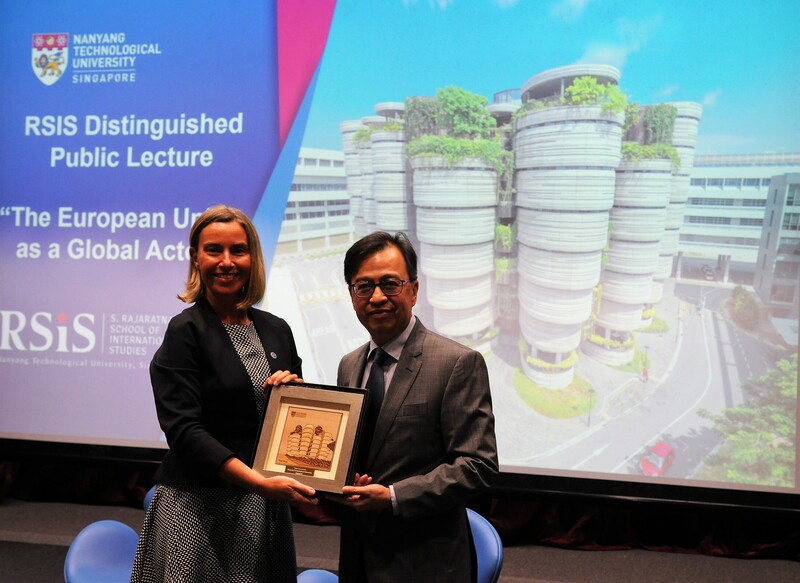 In her first public lecture in Singapore, the European Union’s foreign policy chief and Vice-President of the European Commission, H.E. 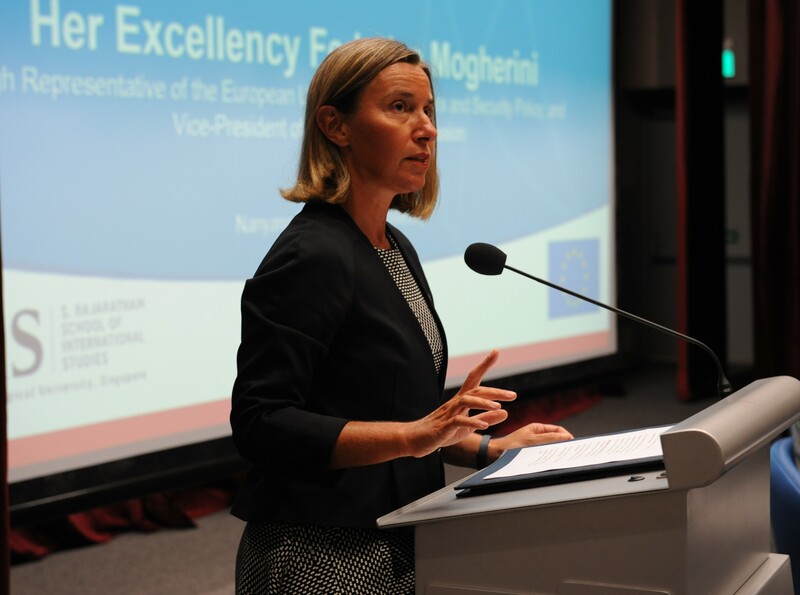 Federica Mogherini, will engage with students on the EU’s place amidst an increasingly volatile international order and will discuss the ways in which the EU continues to develop enduring partnerships across the globe. 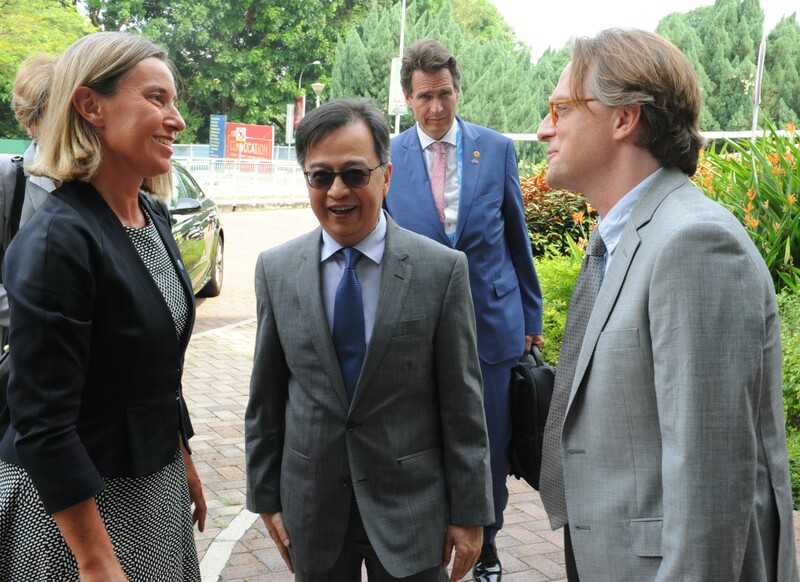 The EU High Representative/Vice-President, who is participating in the ASEAN Regional Forum in Singapore, will address some of the challenges facing the world today, including regional conflicts, nuclear proliferation, and migration, as well as the need to defend and support the rules-based multilateral system, open and fair trade, and sustainable development. 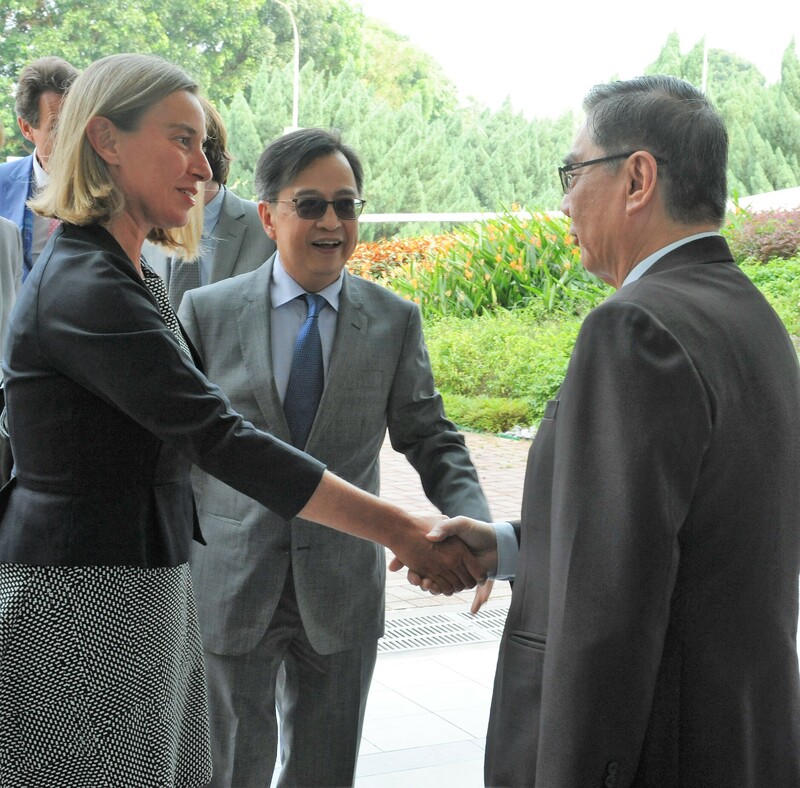 With Singapore currently holding the chairmanship of ASEAN and taking on the role of EU-ASEAN Coordinator in August, Federica Mogherini will also outline the European Union’s increased engagement with Asian partners over the past years, particularly on climate change, connectivity and security, as well as discuss opportunities for enhanced cooperation in the future. 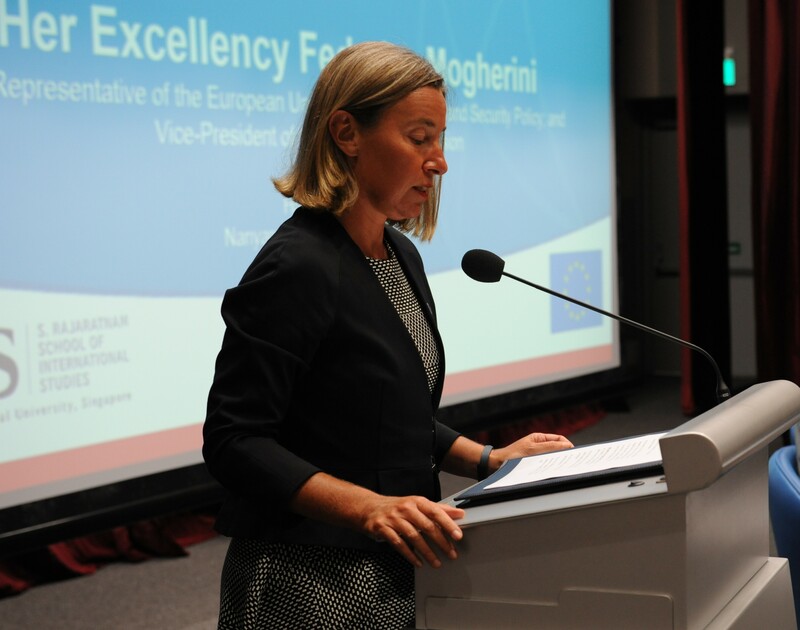 Federica Mogherini is the High Representative of the European Union for Foreign Affairs and Security Policy and Vice-President of the European Commission. 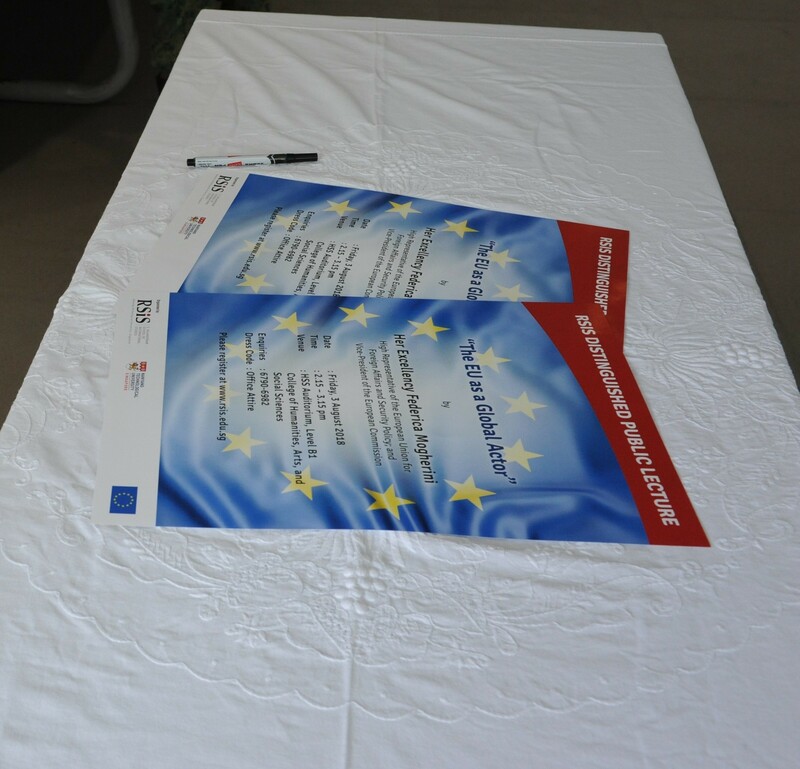 She has held this position since 1st November 2014. 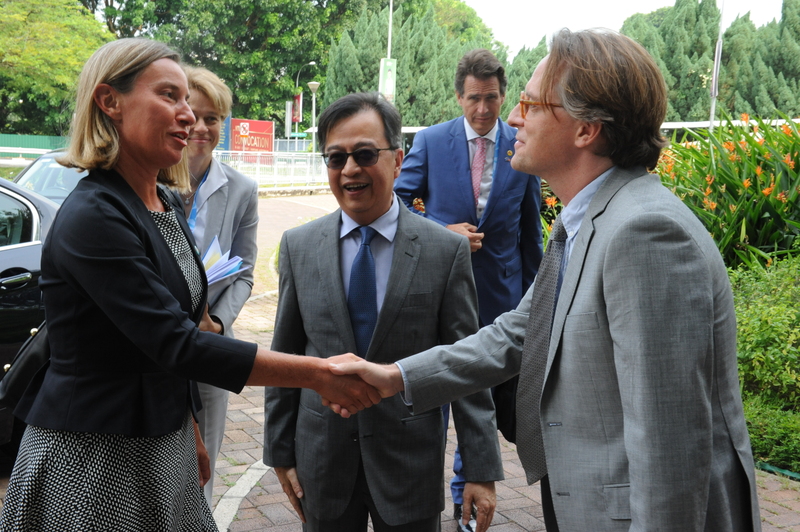 She previously served as the Italian Minister for Foreign Affairs from February to October 2014, and was elected as a Member of the Italian Parliament in 2008. 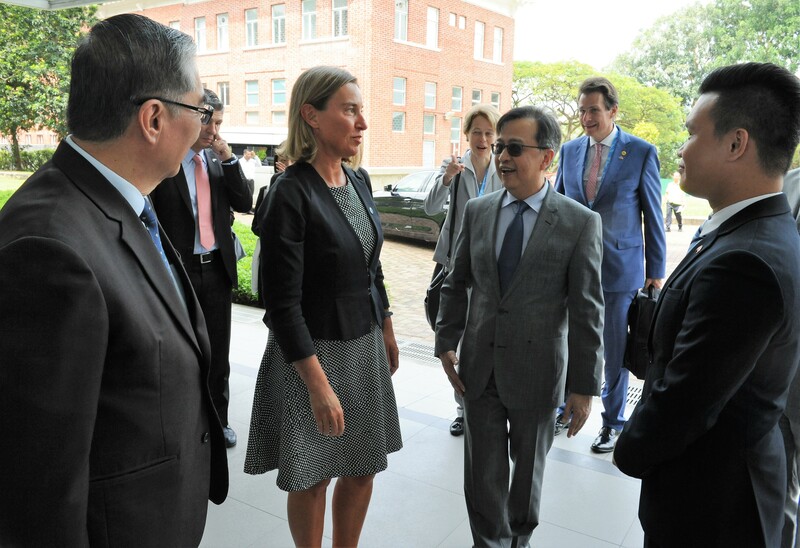 She was also the Head of the Italian Delegation to the NATO Parliamentary Assembly and Vice-President of its Political Committee (2013-2014), Secretary of the Defence Committee (2008-2013), and member of the Foreign Affairs Committee. 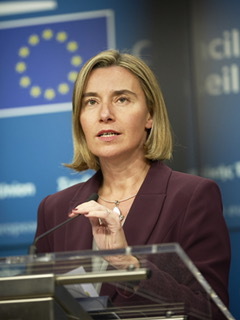 She was born in Rome, Italy, and graduated from the Sapienza University of Rome with a degree in Political Science and a specialization in Political Philosophy. 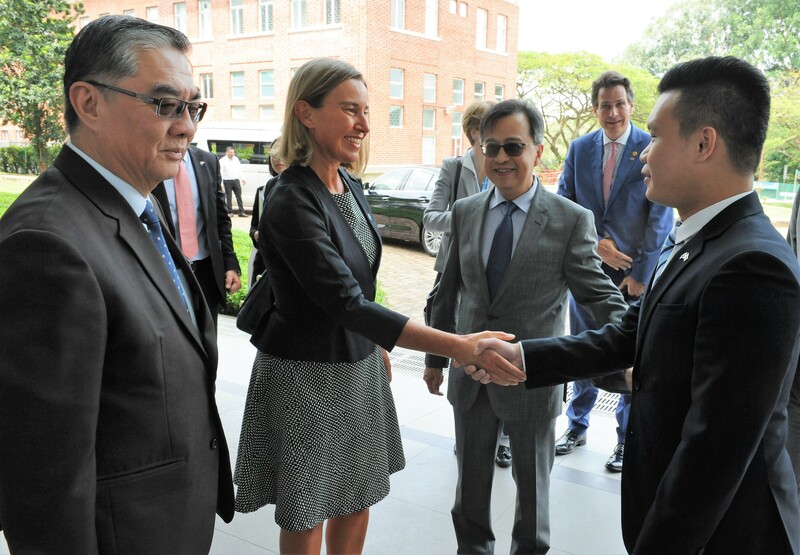 Ms Mogherini is a member of the Rome-based Istituto Affari Internazionali (Institute of International Affairs) and a Fellow of the German Marshall Fund of the United States, a public policy think-tank in Washington D.C. 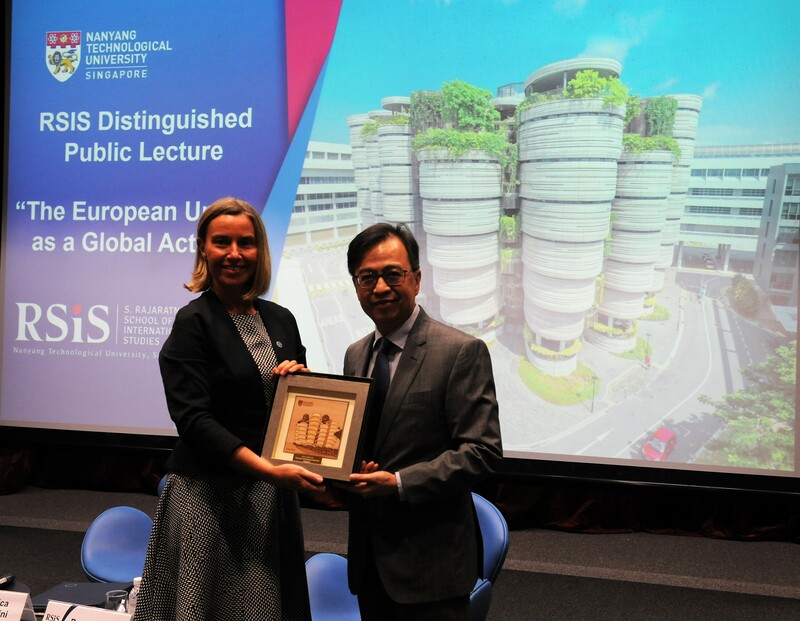 This lecture is organised with the support of the European Union in Singapore & EU Centre in Singapore.